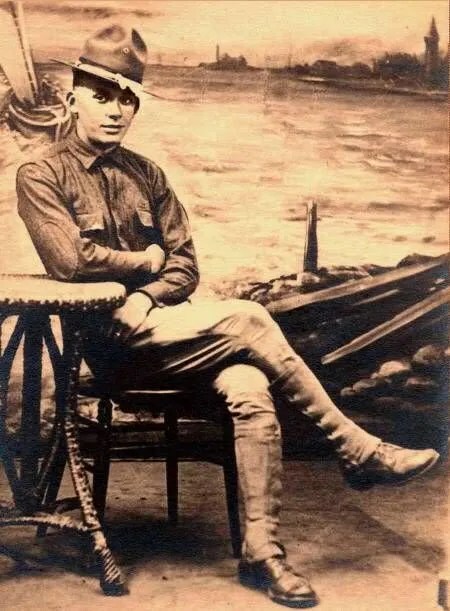 This page is inspired by the comments of many readers who have visited Soldier’s Mail while on a quest to learn more about their own family heroes who served overseas in the American Expeditionary Forces (AEF) during the early days of the 26th “Yankee” Division. 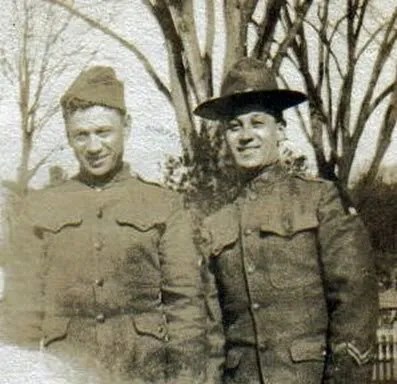 Throughout the pages and postings on the Soldier’s Mail site, readers have been moved to leave a mark sharing what little they know about their own ancestors who served while also seeking further assistance, direction and information. The names of these men from the “Most Gallant Generation” are listed here in a living Honor Roll in order that they might still be remembered together today as they served together yesterday. All readers are invited to submit names to be added to the Page at any time. Please include Name, Rank, Unit, Serial # (if known), and any dates of wounds, commendations or other notes. Pvt. Percy H. Waite, 103rd Ambulance Co. Pvt., Supply Co., 102nd Inf. Pvt. Andrew J. Ostlund, G Co., 354th Inf. Pvt. 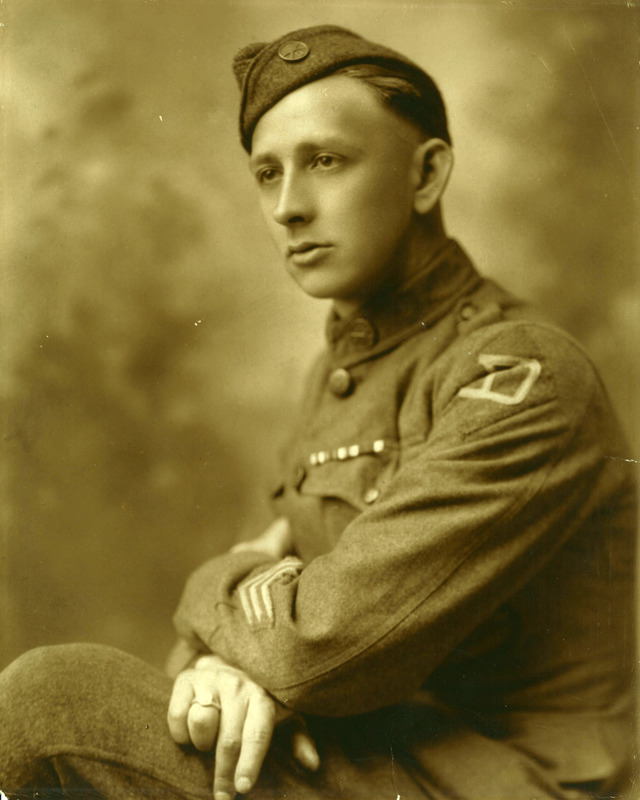 Wilfred Dambroise, 103rd Inf. my Grandfather: Joseph R. Shapiro, 101st Field Artillery. I think he was in Battery E and a Private. He was gassed and wounded (finger shot off?). Your grandfather Joseph is now listed among the honored. My great uncle Pvt. Randolph Daring, Battery C. 103rd Field Artillery 26 Yankee Div was wounded 10-26-1918 in France. My great great grandfather is Ernest B Hale… dont know much about him. If you have any old pictures I would love to see his face. Also, I’m confused why my grandfather and 3 others do not have their position stated? Thanks. My grandfather, Pvt. 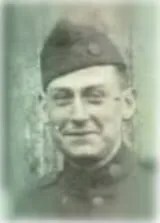 Michael Sarf, Co. D, 103rd Infantry, was also gassed in 1918. I have his Purple Heart, which I applied for during the 1980s, and a Victory Medal with three clasps as well. that is a darn shame i mean I have heard of people who had the tip of their pinky shot off and they got the Purple Heart, but my Grand Father whose life was shortened,who coughed and hacked daily and nightly with irreparable lung damage,and while in the deep trenches of France had his feet frozen in such a way he never was able to walk well again certainly never able to wear shoes as a normal person,then later they advanced on the Germans and pushed them into Germany it was during this he was gassed,thus if they had not advanced and pushed the enemy back who knows how the war would have ended and he and others would have never been gassed. I want you to know my sickly and going on 81 year old Father rarely smiles these days but tonight when I showed him Grand Pa’s name on the Memorial site he became almost giddy. 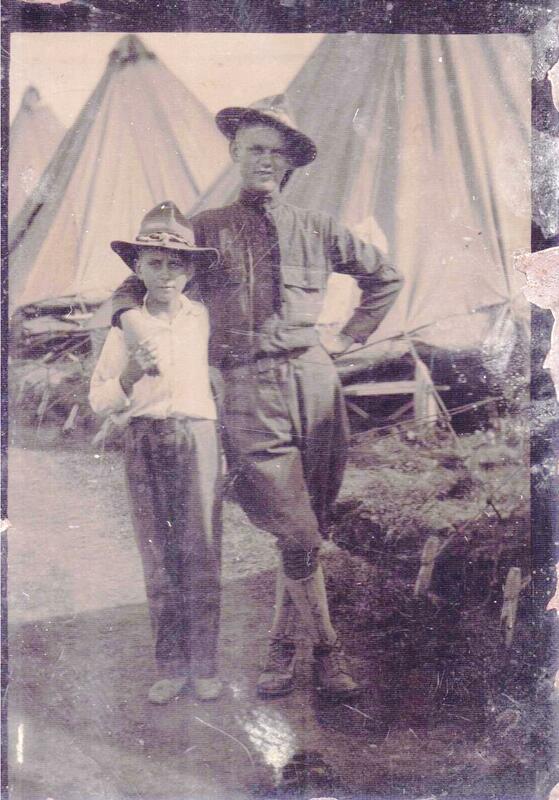 My Grandfather, Arthur F. Boulanger, from Waterbury Conn., served with the Yankee Division, Co. A, 102 Infantry, in France. He enlisted April 26, 1917. Private Boulanger fought at the Battle of Chemin Des Dames. He was severely wounded in action on July 23, 1918 at the battle of Chateau Thierry. He received 3 gunshot wounds in the back and chest area of his body. The battle field was gassed with chlorine gas soon after he went down. His comrades came back to the battle field to retrieve the dead and found him alive. He was a recipient of the Purple Heart. He was released from duty February 4, 1919. He lived a full and humble life in Waterbury Connecticut with one emphysema ridden lung. He never said a word about his service. He lived to be 72 years of age. Daniel Venzor, PVT, Santa Barbara, CA. Sources: California Honor Roll for WWI and American Battle Monuments Commission Website. Note: Uncle of baseball legend Ted Williams. Daniel Venzor’s sister, Micaela “May” Venzor, was the mother of Ted Williams. (1) Town resided in when enlisted or drafted. Also include stamped, self addressed, return envelope. The Statement of Service Card, may include army serial number (or NSN, if no serial number was issued). Age at enlistment. Date and place enlisted or inducted. Overseas services, and if wounded. Reason for discharge, e.g. demobilization. Date of discharge and type of discharge, e.g. honorable discharge. Thanks so much for including my father’s photo on this page of your web site. I know he would have loved it and I am so proud of him for his service and for the great Dad that he was. Thank you for such a treasure of infomation. My grandfather served with the 103rd. I was lucky enough to hear many stories about the war from him. He also served in WWII. Would you please add him to the Roll of Remembrance. He was gassed on 7-17-18 and spent 130 days in hospitol. The following is from The Roster of Maine ect. I hope this infomation will help someone. Is it possible to apply for a Purple Heart for him and if so how. Thank you so much for all you do. These are two men from the Town of Leicester, MA. who were KIA from the 26th Division. Cooney is buried here at home, Shannon is buried at St. Mihiel. Also this is my grandfather who was wounded, gassed, and later received a Purple Heart in the 1930’s. As I have been doing some research on my Grandfather, Pvt. William Anderson formerly of New Britain,Ct,whose photo is also on this page,I reciently found his Dog Tags and with that information, wrote the Connecticut National Guard. They inturn sent me such wonderful information about him. 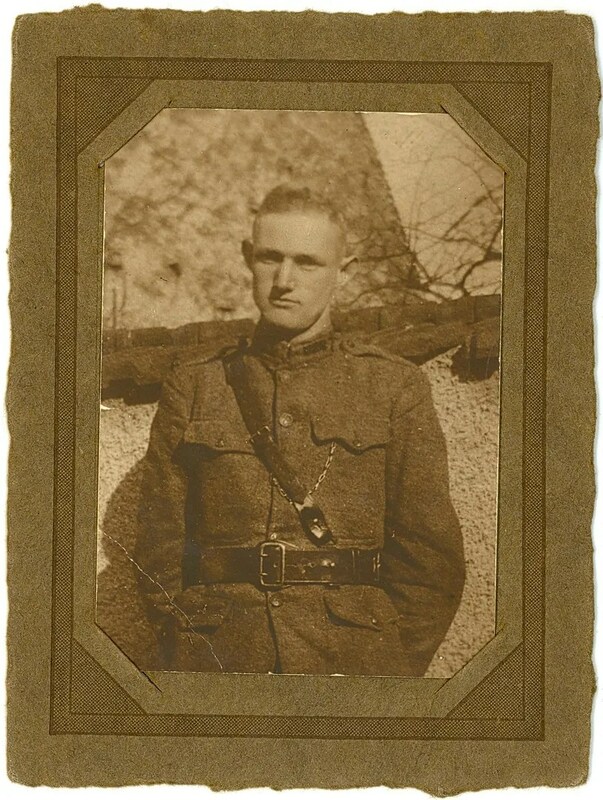 As he was one of the original 26th Division men.They sent me a copy of his enlistment card. He enlisted 2/22/1917 though he was only 17, he lied about his age to get in. And the birth date shows the proof. He was born 3/10/1899, and the birthdate on the card states 3/10/1898. He was En.Pvt.,Co.I,1st REgt.Conn.Inf.,N.G. 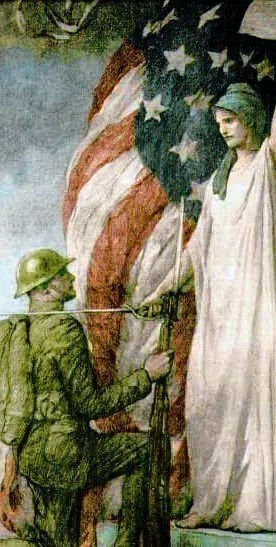 He was later called to service 3/26/1917, and then drafted 8/5/1917 and transfered to Co.I,102nd U.S. Inf.,R.S.O.152. I also recieved 2 medal/medalions,two gold pins,and 2 bars of service from the state for his service in WWI. What a wonderful find, now I want to apply for his Purple Heart, as the paperwork states he was severly wounded while in action 7/22/1918 and that I know for I saw the scares on his leg. It also states AEF 9/16/1917(do not know what this means) to 3/15/1919, and was Honorably discharged on 4/4/1919. Also note, I have been reading about the 26 Division, and came to find that Camp Bartlette, A.K.A, Barnes Airport, is literally in my back yard.I mean over the fence an in my back yard! As I live in Westfield, Massachusetts, where Camp Bartlette was located. A memorial to this Camp and the 104th Infintry are 1/2 mile from my home. What a suprise! National Guard is still here at Barnes. Wonderful news! I just recieved in the mail after all my researching my Grandfather William Andersons, “Purple Heart” certificate, the medals will follow. Though his WWI records were burnt in the National Archive fire, due to the fact my Grandfather re enlisted from 1920-1921, where he was stationed in Mercedes,Texas between wars. William again re enlisted in 1944 for WWII in the Navy Reserve. In his enlistment paperwork is where I found mention of the two wounds he recieved in WWI. 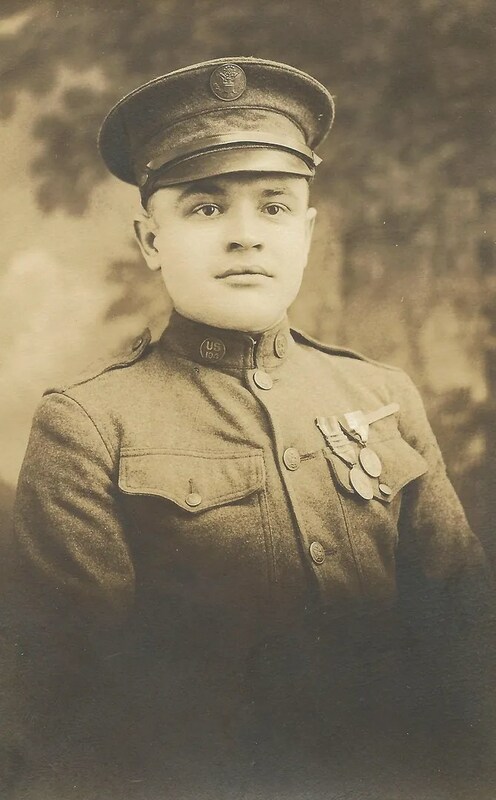 Also mentioned in the letters I recieved with the “Purple Heart” certificate, the Army also states my Grandfather will also recieve the following medals,WWI Victory Medal w/French Service Clasp for Champagne-Marne,Aisne-Marne,St.Mihiel and Meuse-Argonne clasps. WWI Victory Button-Silver, and a Lapel Button for Service Prior to 8 September 1939. This has been added to his reconstructed Official Personnel File. Now I am working on getting him enstilled in the Purple Heart National center in Newburgh,NY. After more research, I finally found the Mitlitary records for my second Grandfather. Henry E. Lambert. He was from New Hampshire. Henry enlisted with the New Hampshire National on 4/2/1917 and was: Pvt.,Co L 1st Inf NH NG. He was then drafted into the U.S. Service 9/13/1917 and transfered to Co K 103 inf. Henry fought at the Battles of Champagne-Marne, Aisne-Marne, St. Mihiel, Muse Argonne,and the Defensive Sector. He was wounded in action: 10/4/1918 as well as gassed. 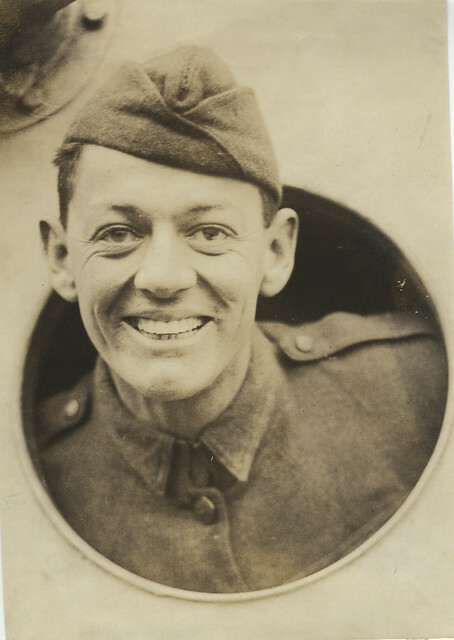 He was part of the AEF from 9/12/1917 to 4/4/1919 and was honorably discharged on 4/28/1919. 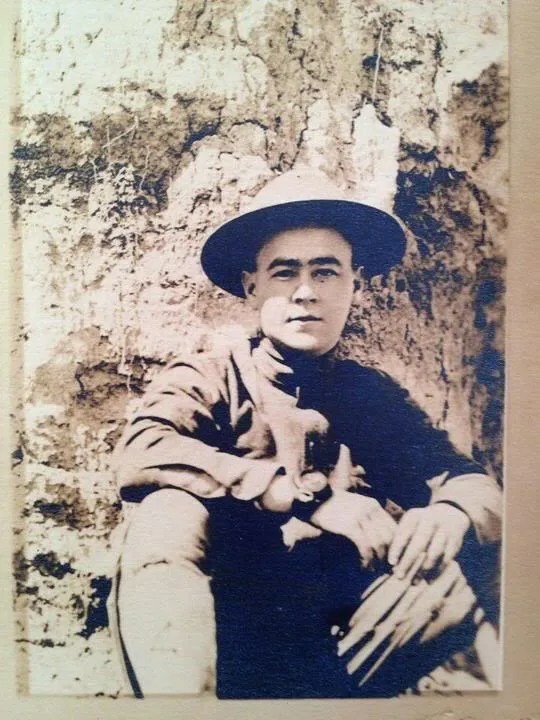 I have a photo of him in his WWI uniform and would like to see him on this page along with my other Grandfather, William Anderson. Frank D.Gillespie pvt. was captured by the enemy April 20,1918 at Seicheprey, a member of Co.B 102 MG Bn. 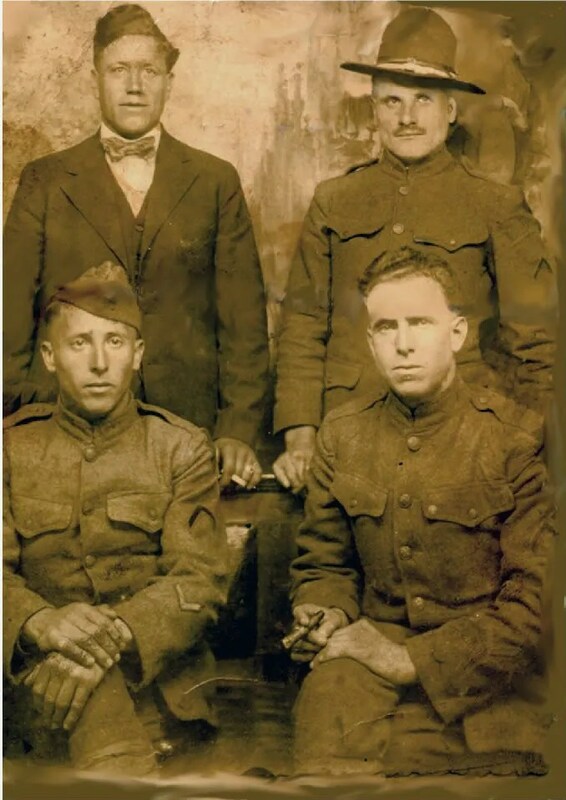 Held prisoner of war to Dec.6, 1918. he suffered the mustard & clorine gas results thru life as a disabled vet.23 men& 1 officer from Co.B, were captured that morning.Is there anyplace to get info on their time as prisoners? 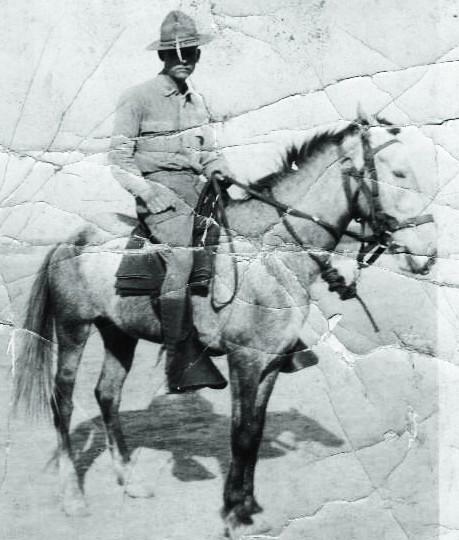 Prior to Activation in the 26th Y.D., he was with Tr.D, -1st Cav. Mass. NG, and served in Texas. Enlisted July 3, 1916 discharged april 29,1919. Your page has helped me trace my dad’s time in the service. I thank you. Entered the National guard in South Manchester,Ct 6/29/16, into Co. G 1st Inf CNG. Drafted into Co G. 102nd Infantry to discharge. He was Pvt 1st Cl on5/24/17. Then Pvt 8/17/17. Mech 7/5/18. And again Pvt 1/15/19. Wounded in action slightly 10/9/18. Was part of the AEF 10/27/18 to 8/26/19, and recieved an Honorable Discharge 8/27/19. My great uncle died on January 10th, 1964. He was 75. I was only 9 years old but, I still remember him well these 50 years later. He was and is my hero. He was from Central Falls, Rhode Island. 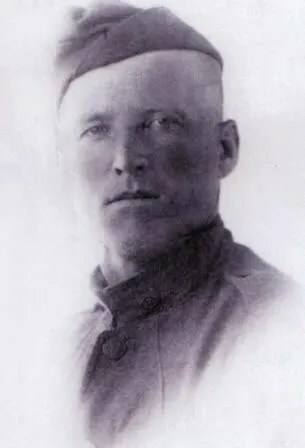 He served in France as an ambulance driver. I know very little of his service. I don’t know if he was ever wounded, gassed or injured in any way, but, I do know that he loved and served his country. Great news! After much research I have finally recieved word that I will be recieving a replacement Purple Heart for my Grandfther Henry E. Lambert. He had served with the 103rd Infantry Co K. 26th Yankee division, AEF. I found his medical records for being “Gassed” while in the line of duty. He originaly came in contact with Mustard and phosgene gases while serving in the Defensive Sector in Sept. of 1918. He reported to Field Hospital 101 complaining of chest pains on 10/4/1918. He was admitted for observation and then sent back to duty. He was again admitted to the hospital and transfered to Bordeaux, France. At that time he now had double pneumonia,and again was admitted to the hospital. Upon returning home, in 1919 he was again admitted to the hospital at Camp Devens, Ayers, Mass. now with influenza. It was stated he collapsed while marching in the home- coming parade. Hopefully someone can help! My grand-uncle, Pvt Ernest Spaulding Long, 151st Depot Brigade, 76th Division in WWI is someone I am looking for more information about. I am hoping, really, that someone amongst the people who congregate here may know someone else who served with him. HIs wife, Alice Long, was my father’s aunt by blood. I have stumbled across a record of his headstone, which was not ordered until 1944 although he was released from service in January of 1919, I believe when the 151st was no longer needed. 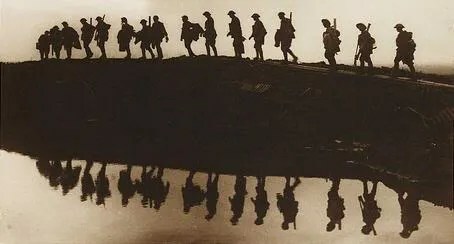 I am, sadly, woefully unawares of a lot of WWI history (but I am learning! ), so if anyone can enlighten me as to anything at all that is relevant, I would be more than glad to receive the info! Thank you for any help. You can email me directly at rockqueenorlando@aol.com. And thank you to all whose names are already mentioned here, for your unfailing service to protect those of us who did not or can not do so ourselves. My Great Grandmother Ada (Hazel) Gurley’s brother was Leroy C Hazel. I don’t know anything about his service, but was excited to find his picture on this repository. Looking for any info on a Mr. Foy J.Wilson he was thw Company runner with Co. F 356th Infantry 89th Division. I think he was from Chicago,Ill. He use to come to Michigan to hunt with my grandfather when my father was a young man back in 1930s-1940s. I remember my dad saying Mr. Wilson was ailing from effects of Muster gas. Hello…looked for info on Foy J. Wilson. I saw a Foy Wilson that was born about 1900 in Pekin,Ill. Then a Foy Wilson that died in 1972 in Florida…Does that help…found info on Ancestry.com. Thank you.very much for looking that up. I imagine I could contact the county clerks office in that town for more info on Mr. Wilson..
My Great Grandfather, Albert Howard Kelsey Allison. He was a Private First Class in the 102nd Infantry Regiment and mustered out of Boston, MA. We heard he was wounded in the war, but I can’t find anything to substantiate it. We have his passenger listing from the USS Agamemnon (formerly SS Kaiser Wilhelm II) which had him leaving from Brest, France on March 31st, 1919. Any information would be amazing. Pleased to see this website, especially because this is the centennial year in which the mass killing in the “Great War” ended. On the morning of the armistice, 11 November 1918, a young soldier in I Company was killed in action: Pvt Moses Neptune, the oldest son of the Passamaquoddy Chief. 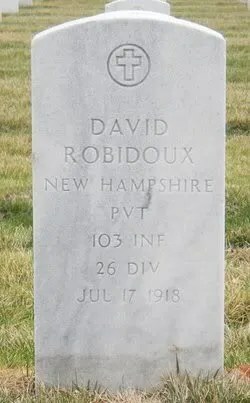 He was the second Passamaquoddy in this infantry company who died on French soil. On 16 June 1918, Charles Lolah perished on the battlefield. The other seven Passamaquoddy returned home and faced challenges of another kind: poverty and racism. In World War II, Passamaquoddy Indians served again in American military uniform and several paid the ultimate price: Philip Neptin was killed in Normandy, soon after coming ashore on Omaha Beach on D-Day. The other, Walter Meader crashed in the Channel while returning from a bombing mission over enemy-occupied France.